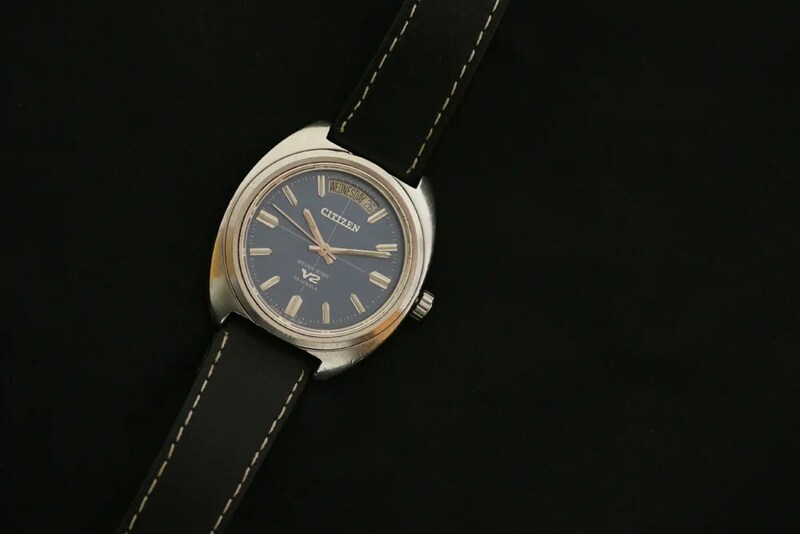 Back in April, one of the Featured Watches was a Leopard 7220 from 1970, a high beat model with day and date window at the 12 o’clock position (https://sweep-hand.org/2012/04/13/this-weeks-featured-watch-30-the-leopard-7220/). The unusual day and date design, in one window, means that the changeover has to be instant at midnight. 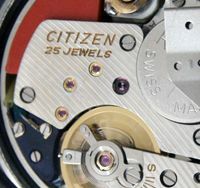 Citizen also used this design in one of its Seven Star V2 models, this time using the 7280 movement. As a mid range model it runs at 21,600 beats per hour (the Leopard is 28,800), and has no fine adjuster on the balance. It hacks and hand winds though, like the Leopard. 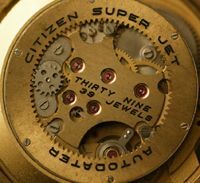 You can see where these two fit in the ’72 Leopard/V2 Family Tree’ via the link in the blogroll. 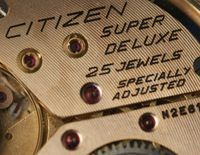 The Seven Star V2 models fitted in Citizen’s line-up just below the Leopards – in fact their retail prices overlapped to some extent. 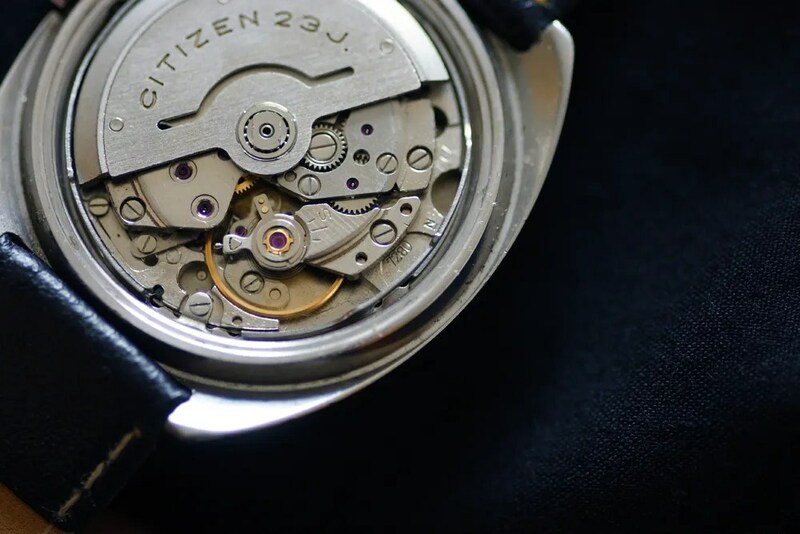 With solid and reliable movements, they were a nicely specified (hand wind-able and hacking, with quick set date) range of automatics. 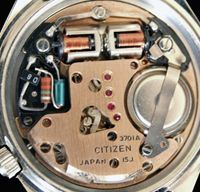 This entry was posted in Vintage Watches and tagged Vintage Citizen Custom V2. Bookmark the permalink. 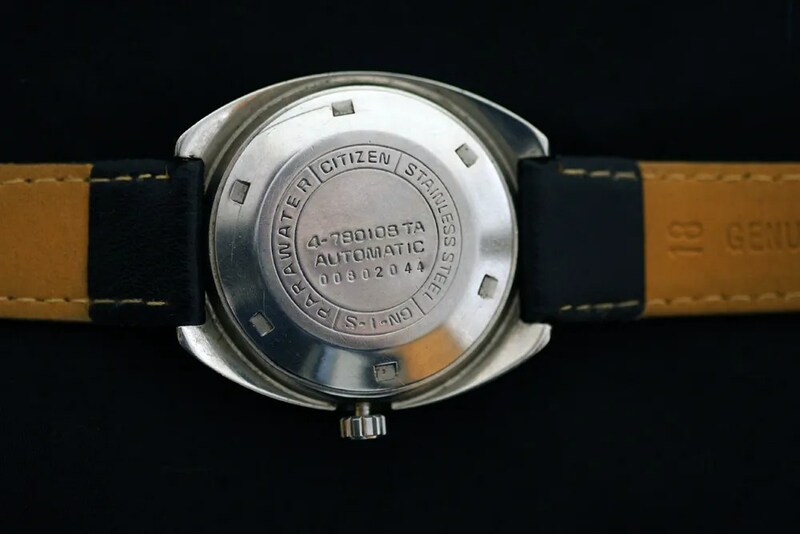 Now, as my collection of vintage citizens grows, I’d like to ask you a few more questions. I already know, thanks to your post here, that for 67-9119 I need 54-50880 crystal. Any ideas where I can find it? I searched Yahoo Japan auctions but found no matches at the moment. And can you tell me what part nr. should I search for to get a spare crystal for the V2? I’v already tried changing the original crystal to some generic domed mineral glass of the same width, but I’m not happy with the results. Hi trxtr, good to hear from you again. 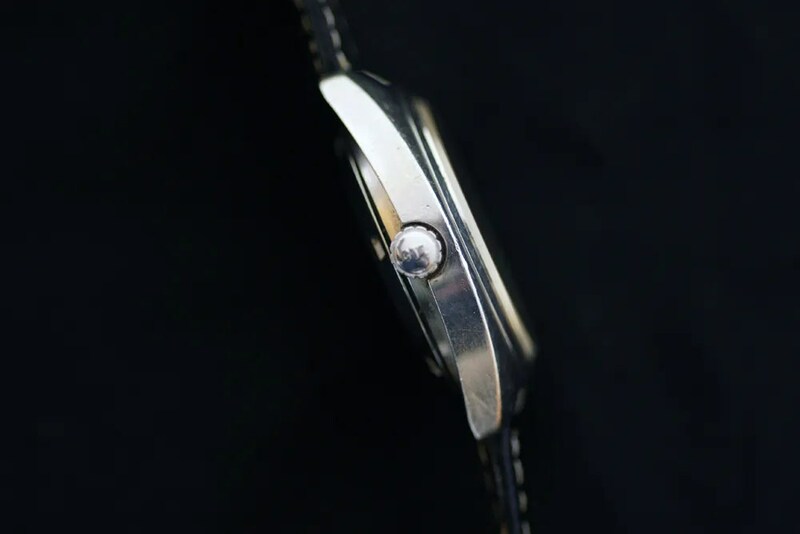 Firstly, the case back seems fine to me for the V2 with the 12 o’clock day/date window. I really like that design, partly because it has to change instantly at midnight with a definite click. I haven’t got a crystal number for you yet for that one I’m afraid – I will see if I can find it when I have a bit more time. Original crystals are getting harder and harder to find – but I might be able to help with a 54-50880 for your 67-9119 🙂 Are you ok for me to email you directly? (no need to post your email address, I get that when someone posts a comment). 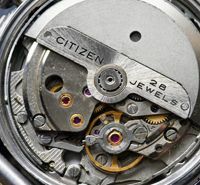 Perhaps do you know something about citizen v2 seven star 26J Cal.7790? Or where can i find info about them?